Singapore, 5 June 2018 (Tuesday) – The Singapore Management University (SMU) School of Law has been awarded a major grant of S$4.5 million from the National Research Foundation (NRF) and the Infocomm Media Development Agency (IMDA) to helm a five-year Research Programme on the Governance of Artificial Intelligence (AI) and Data Use. SMU School of Law will also set up a new research centre to undertake focused efforts on the Programme. The award follows a competitive application process that was open to all Institutes of Higher Learning (IHLs) in January 2018. The award was announced today by Mr S Iswaran, Minister for Communications and Information, and Minister-in-charge of Trade Relations, at the Opening of innovfest unbound, the anchor event of Smart Nation Innovations Week. The grant call by NRF and IMDA was made with the aim of collaborating with an IHL to set up the aforementioned Programme, so as to achieve various strategic objectives, including to (i) promote cutting edge thinking and practices in AI and data policies and regulations; (ii) inform AI and data policy and regulation formulation in Singapore through research publications and stakeholder engagement events and activities; and (iii) establish Singapore as a global thought leader in AI and data policies and regulations. 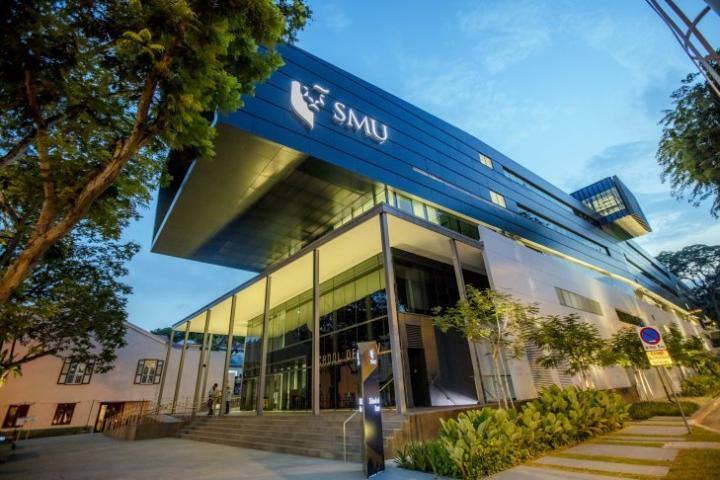 Professor Steven Miller, SMU's Vice Provost (Research), said, "SMU is delighted to have secured this research grant to support Singapore's national needs as we advance Singapore's digital economy through a focused effort on the governance of AI and data use. This award is the largest research grant that the SMU School of Law has received since its inception in 2007, and provides strong recognition of our School of Law's research excellence and ability to be an important contributor in Singapore's research and policy eco-system. This new programme is based upon a distinctive interdisciplinary approach that will involve other Schools within SMU, highlighting SMU's strength in doing research at the intersections between disciplines." The Research Programme on the Governance of AI and Data Use that the SMU School of Law will undertake will comprise three integrated streams – AI and Society, AI and Industry, and AI and Commercialisation. The Programme will build critical interdisciplinary capacity in the area that will help build bridges between the academy, industry and government. It will be carried out by a new research centre to be housed in the SMU School of Law and formally launched later this year. Associate Professor Goh Yihan, Dean of the SMU School of Law, who will provide leadership and oversight as a member of the Centre's Executive Committee, said, "The Research Programme on the Governance of AI and Data Use, and the setting up of a dedicated research centre, are not only timely, but also necessary preconditions of Singapore's successful digital future. We are grateful for the trust and confidence that the Government has placed in our law school and will ensure that the Programme achieves its aim of establishing Singapore as a global thought leader in AI and data policies and regulations. Through the careful integration of the three research streams of AI and Society, AI and Industry, and AI and Commercialisation, we will develop government- and industry-relevant strategies for the governance of AI and data use, thereby contributing to the development of Singapore's digital economy." "More broadly, SMU School of Law is committed to producing research that has meaningful impact in the real world. This Programme is a cornerstone of our forward strategy of engaging in cutting-edge issues brought about by technology which affect the law and beyond. Ultimately, we hope that our research will inform our teaching, as we aim to future-proof our graduates with a forward-looking and innovative curriculum that integrates theory and practice in a period that is fast influenced by technology," Associate Professor Goh added. The Centre will establish an Expert Panel, which will comprise individuals from academia, as well as the technology industry and legal professions. It will also establish institutional partnerships in academia and industry, which will provide international connections and expertise. Prominent research centres that have committed to working with the Centre include the Berkman Klein Centre for Internet & Society at Harvard University (and its Governance and Ethics of AI Initiative together with the MIT Media Lab); the Centre for Commercial Law Studies at the Queen Mary University of London; the Centre for Law, Technology and Society at the University of Ottawa; the Digital Asia Hub; and the Zvi Meitar Institute for Legal Implications of Emerging Technologies at IDC Herzliya. The full list of members on the Centre's Expert Panel, as well as its institutional partners, will be announced in due course. The Centre will also engage actively with researchers in the field of AI and data use, and appoint visiting professors and fellows. The leading experts who have committed to working with the Centre include Professor Ian Kerr, Full Professor and Canada Research Chair in Ethics, Law, and Technology at the University of Ottawa; Professor Urs Gasser, Executive Director of the Berkman Klein Center for Internet & Society at Harvard University; Professor Chris Reed, Professor of Electronic Commerce Law at Queen Mary University of London; Assistant Professor Dov Greenbaum, Director of the Zvi Meitar Institute for Legal Implications of Emerging Technologies; and Malavika Jayaram, the inaugural Executive Director of Digital Asia Hub. To start off the research programme, the Centre will, together with Digital Asia Hub, and in collaboration with Harvard University's Berkman Klein Centre for Internet and Society, jointly organise and co-host an event in September that will focus on the AI ethical and governance challenges from a policy perspective, and lay the ground for further collaboration among stakeholders.